The Rajya Sabha today was scheduled to take up bills by Finance Minister Arun Jaitley and Transport Minister Nitin Gadkari. New Delhi: The second budget session of the parliament has majorly been a washout for 12 consecutive days after vehement opposition protests against issues like the banking scam, Cauvery issue and according of special status to Andhra Pradesh. In the Lok Sabha, the no-confidence motion against the Narendra Modi government was moved by Chandrababu Naidu's TDP and his arch-rival YSR Congress on Tuesday. Congress, Left Front, Samajwadi Party, Mamata Banerjee's Trinamool Congress and the AIMIM led by Asaduddin Owaisi, had pledged support to the motion. The Rajya Sabha today was scheduled to take up Appropriation Bills by Finance Minister Arun Jaitley and Motor Vehicles (Ammendment) Bill by Transport Minister Nitin Gadkari. 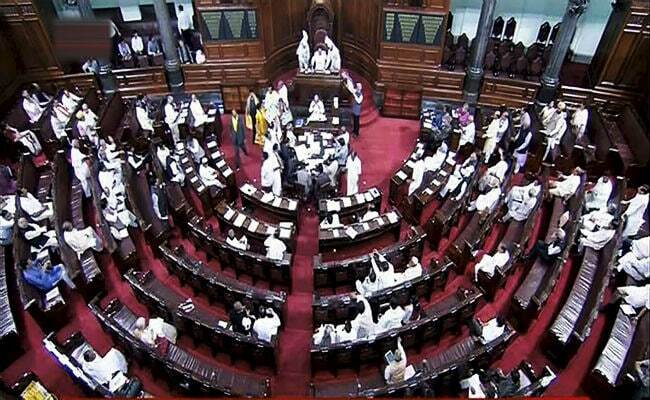 The Rajya Sabha was adjourned for the day without transacting any business after Congress and parties from Tamil Nadu and Andhra Pradesh disrupted proceedings over various issues. Chairman M Venkaiah Naidu adjourned the house barely four minutes after the proceedings began, as members of opposition parties staged protests in the well. Lok Sabha adjourned for the day following protests in the lower house. Rajya Sabha has been adjourned for the day as opposition parties stage protest in the well of the house. Lok Sabha adjourned till noon.